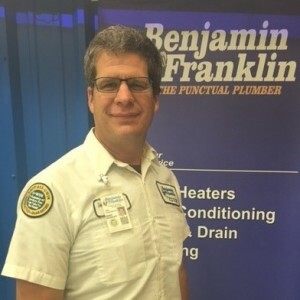 * Total number of reviews and star-ratings are based on data collected during the time period Ben Franklin Plumbing - Tampa, FL has been using the ReviewBuzz system and may not directly match the data found on each public review site. Prices were a joke !!! for a kitchen faucet....about 800.00. A new water heater about 2100!! Dan was wonderful. He found that my sinks were rusting out. The sinks were put in by the builder 15 years ago. He was able to order the sinks and have them delivered the same day. I went out to finish my Easter shopping, when I return, the old sinks were out and shortly afterwards the new sinks arrived. He and his apprentice did a wonderful job. By taking everything in the bathroom cabinets under the sink out, I was able to finally clean them out. They did a great job and were very clean and thoughtful. Benjamin Franklin was able to get to my home the next day, provide the service necessary at an acceptable price. The technician was friendly, and the ability to track the arrival time was a wonderful benefit. 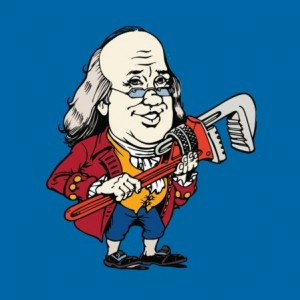 Great service from Benjamin Franklin plumbing. 2-3 technicians worked on my slow draining Landry tub until the issue was resolved. It drains better than I've ever seen in the 25 years in this house. Thank you for all the hard work. Carlos, Juan and Daniel. Our technician was courteous, professional, and very knowledgeable of his job. Acted very lazy and didn’t want to work!! Daniel was excellent. He gave us options and guided us through what would work best. Was friendly and honest. Will be using this service again the next time we have a plumbing need. Scott did a great job, went thru all the options with me , everything works super.. Great service, will highly recommend and use again. Thanks. Scott B. was very punctual, very knowledgeable in the product. Replaced water heater the next day. Again, very punctual. Work done very quickly. Would have preferred to have the pricing information and model number of tank upfront and before replacement tank was installed to be able to do some research on this specific gas tank. The whole system was very expensive, but ratings and reviews seem to be very positive on this Rheem tank. We will be doing the $8 monthly service program with them. Great service people and quick response time, especially when water is running all over the place in a panic situation. 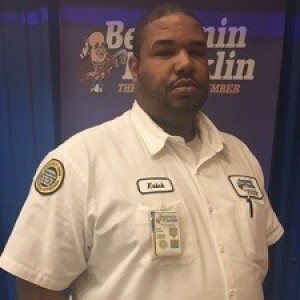 I can depend on Ben Franklin Plumbing to get the water shut off quickly and solve the problem with quick same day service. When my daughter was leaving for work at 7:30 am she noticed that the hot water heater was leaking water all over the garage. I called Ben Franklin Plumbing and Scott arrived around 8:40 to solve our water problem. Great service! Daniel was a true professional and dedicated. Hos work was incredible and quick. Awesome experience. Highly recommend! Ben Franklin and Kyle Hilbert. Kyle Hilbert was awesome! Very knowledgeable! Fast worker! Friendly! Courteous! We are very pleased with the work and the deal he got us! Absolutely recommend! Excellent service by a skilled technician. Appreciate the information given on each product so that I could make the best decision. Erick Young Excellent customer service. Technician took the time to explain my options with any pressure. Ultimately, I realized the benefit and advantage of using Benjamin Franklin. Will definitely recommend Benjamin Franklin to others as I have done in the past. I'm already a repeat customer and service like this will keep me returning and telling others why I do. Thanks Erick. These guys are great. Had them install all my gas lines for new pool heater, fire pit, and grill. 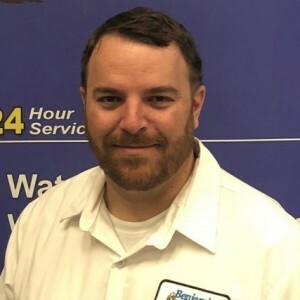 Not the cheapest, but Dan has come out repeatedly to make sure all appliances have been hooked up right, and they've been extremely meticulous and responsive over the course of this very long process, without any additional charges. Steve has been taking care of us for years. He is awesome! Scott is true professional , Great work, will recommend him to family and friends. 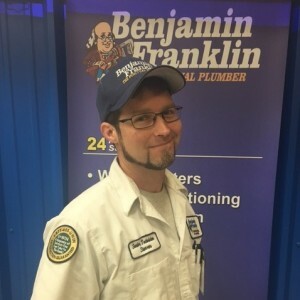 Customer service is always a top priority at Ben Franklin Plumbing - Tampa, FL. Our BBB Membership A rating is like a badge of honor as we continuously strive to provide the best experience for our clients.